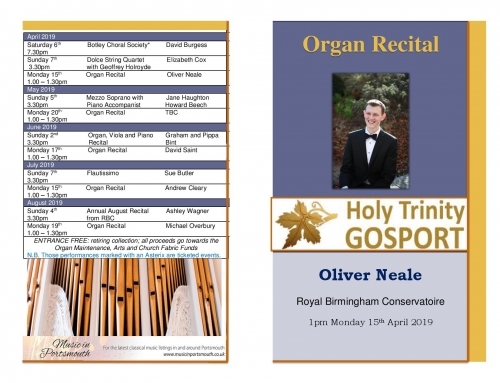 Those of us who shunned the sunshine in a tradeoff of beautiful weather for beautiful music were not disappointed with our choice and enjoyed a truly splendid recital today. Thank you, Adrian, for your delightful selection of music, bringing us four very different pieces, each equally appealing in its own way. 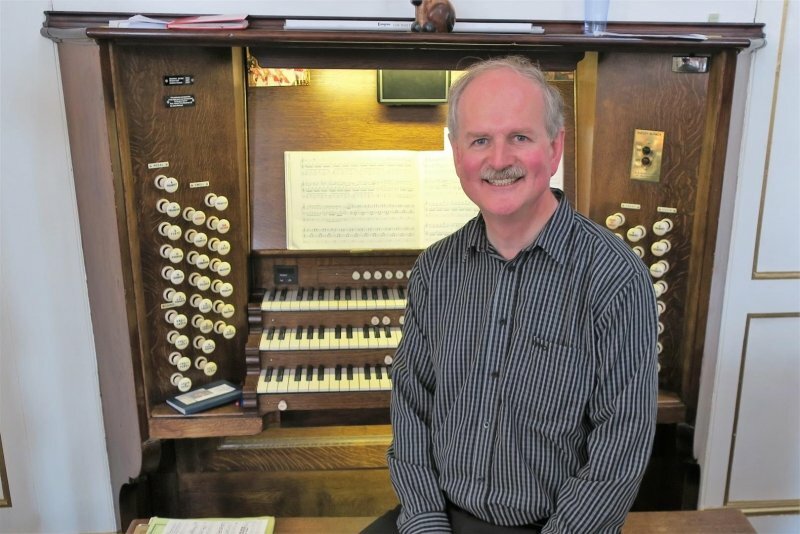 I loved the light finger work apparent in John Stanley’s ‘Voluntary in D’ and the highly complex hand and foot work in Bach’s Concerto, but for me the drama of the Buxtehude was most moving and memorable. 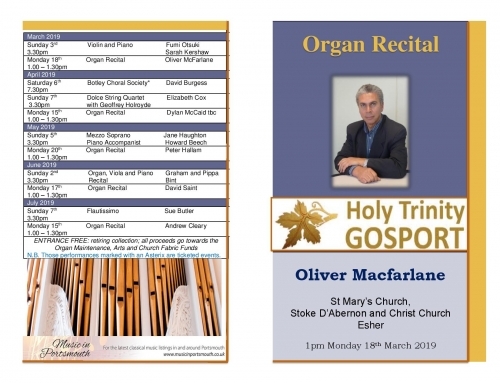 We are fortunate indeed to have attracted Adrian to play for us and I am delighted to tell you now that having played our magnificent, historic organ, he is keen to come again – roll on 2020 . . .